Use the form below to inquire about Boutique Hotel On Nageen Lake . Use the form below to reserve for Boutique Hotel On Nageen Lake . These are spacious rooms with double beds and ensuite bathrooms. Some of these rooms have wooden paneling and wooden flooring. 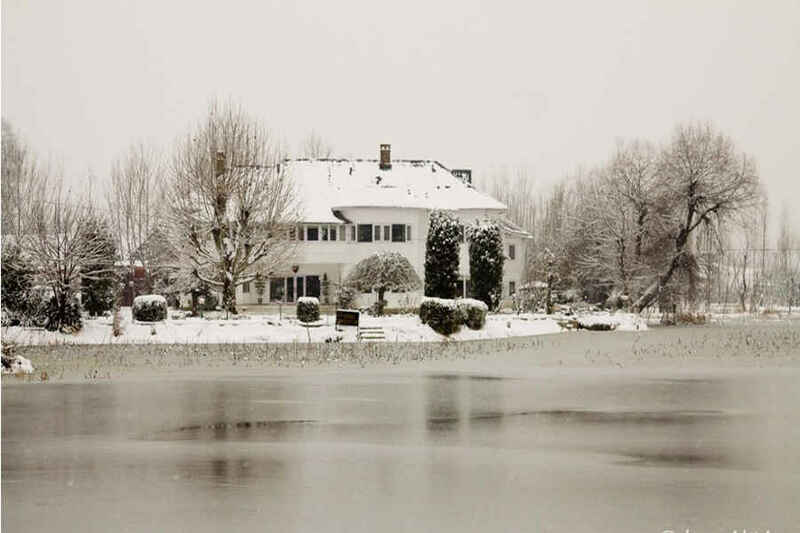 There’s another paradise in the paradise on Earth – the Boutique Hotel On Nageen Lake in Srinagar beckons you to travel. Mighty mountains stand guard to a beautiful land that epitomizes romance. Srinagar’s natural beauty rouses every traveler and tourist’s curiosity to explore its length and breadth. Although communal tension does play an occasional spoilsport, the city is still a favorite destination among local and international visitors. The most popular attraction in Srinagar, the placid Dal Lake, colored with stationary shikaras or houseboats, is quite capable of taking your breath away. An offshoot of the Dal Lake, the Nageen Lake is an extension of the mesmerizing and colorful scene at its parent lake. 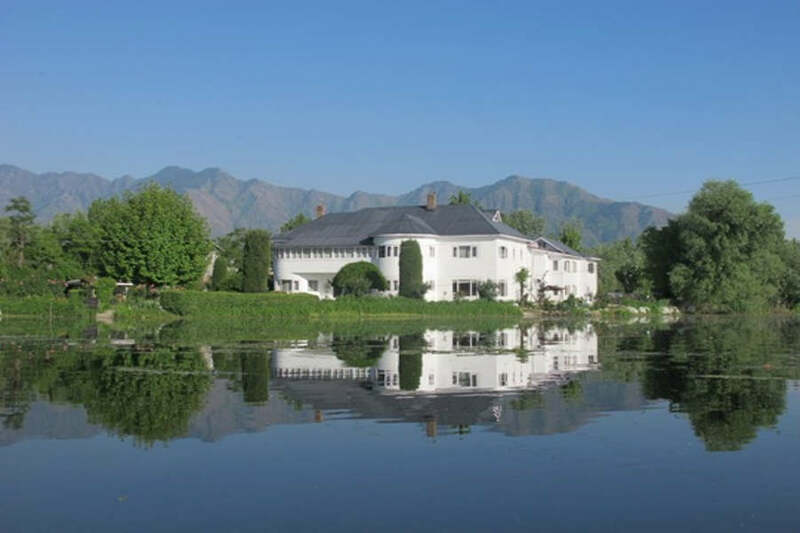 Adding to the beauty of the lake is its location in the foothills of the Zabarwan mountain range and the willow and poplar trees that flank it. While this charming landscape pampers your senses with its natural beauty, the Boutique Hotel On Nageen Lake promises to change your idea of the perfect holiday. When you are arriving at the Boutique Hotel On Nageen Lake, for a moment you might think that you are in an English countryside. And you cannot be blamed! The sheer magnificence of its location is extraordinary. Different seasons lend a different look to the resort and its surroundings. While in the summers, greenery abounds and blends in with the clear blue of the skies, autumn turns everything a bright shade of orange. In the winters, the whole place is nothing short of a winter wonderland with the entire landscape white-washed with snow. The resort sits pretty on a landscaped lawn right on the banks of the lake. 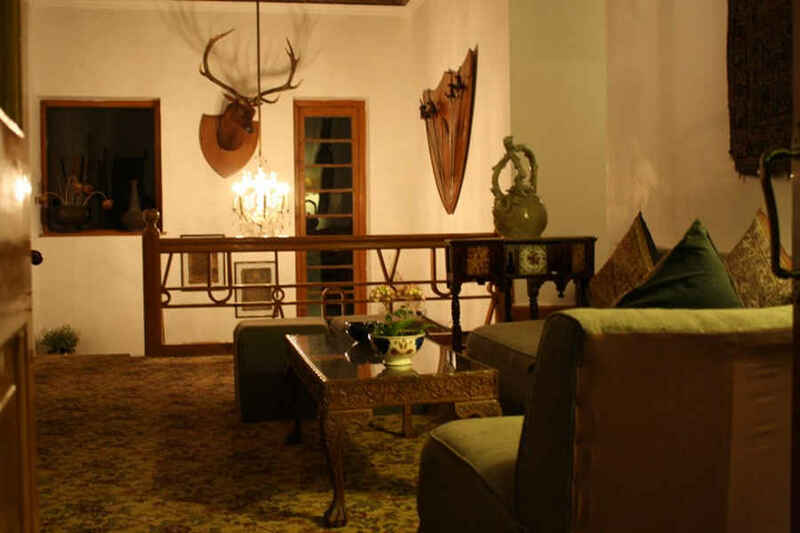 The architecture of the property is a blend of traditional and modern. It features a central heating system, which makes the resort a perfect place to stay in any season. The common lounge on the ground floor and the first floor offers guests the chance to interact with each other while relishing the scenic views of the lake and the mountains. 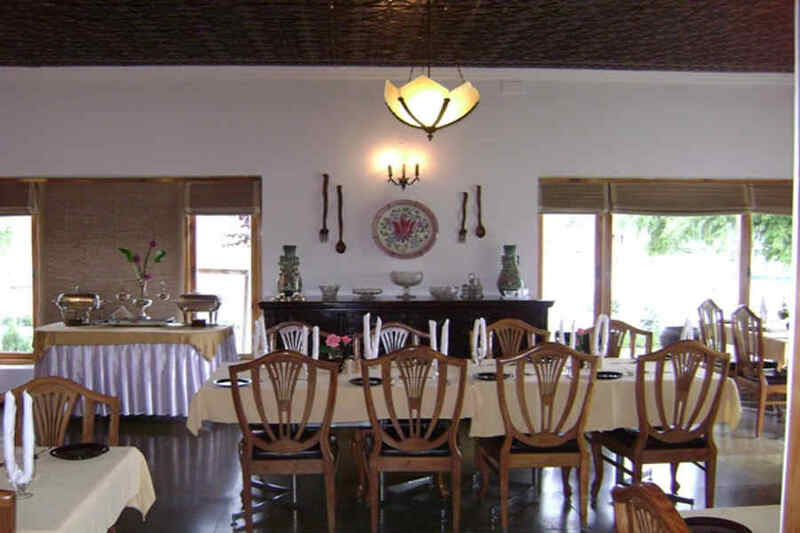 The resort’s in-house restaurant serves a variety of local Kashmiri cuisine along with other Indian delicacies as well as a wide range of Oriental and Continental fare. The barbeque by the banks of the lake will treat you to some grilled specialties too. The resort also has conference and banquet facilities. There are 14 rooms, including two suites, for accommodation at the Boutique Hotel On Nageen Lake. Each of the rooms is well-appointed and furnished tastefully. Most of them feature elegant pine wood paneling, while others feature a wooden ceiling that complements the white walls. 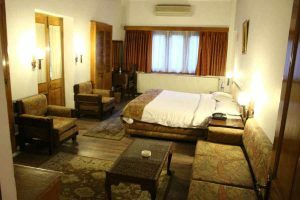 The rooms are well-equipped with modern amenities, including a TV, mini fridge, air conditioner, telephone, electric kettle, etc. The upholstery used in each of the rooms makes the room cozier than they already are. Every room has an attached bathroom with running hot and cold water. The bathrooms are elegantly done and feature modern fittings. You will find everything you came here for—an abundance of serenity and a lavishly comfortable stay. Full booking amount has to be deposited in order to block the rooms . Child 5 or less than 5 years without extra bed is complimentary. Meals for children 5 years and below is complimentary. Children 6 years up to 12 years are chargeable at 50% of the Meal charges. During your stay at the Boutique Hotel on Nageen Lake, activities such as a shikara tour, swimming, fishing, water skiing, motor boat ride and surf riding on Nageen Lake as well as winter sports can be arranged for you. You can also get a taxi and tour guide for sightseeing and shopping on prior request. The strategic location of the resort close to the city center also makes it an ideal place to start your explorations of the city. 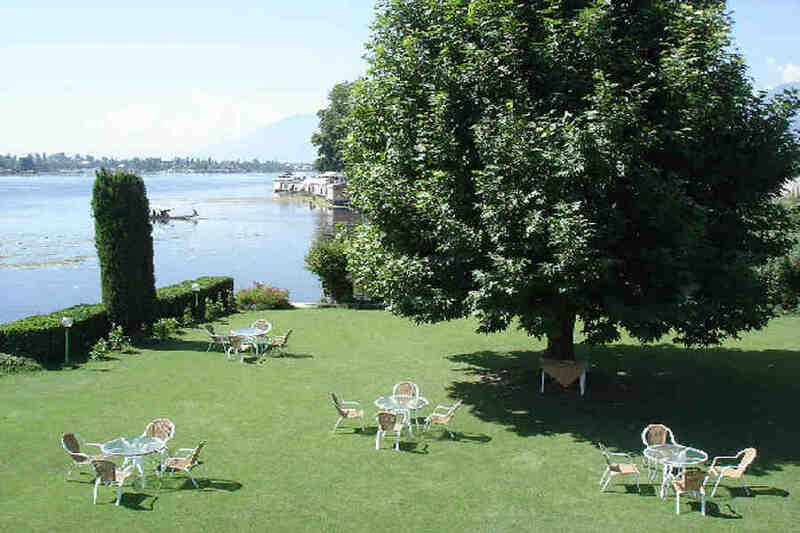 You can visit the many attractions in Srinagar, such as Dal Lake, Royal Springs Golf Course, Pari Mahal, Kathi Darwaza, Hari Parbat Fort, Nehru Park, floating post office, Lal Chowk, Nishat Bagh, Shalimar Bagh and Chashme Shahi, among other sightseeing places. 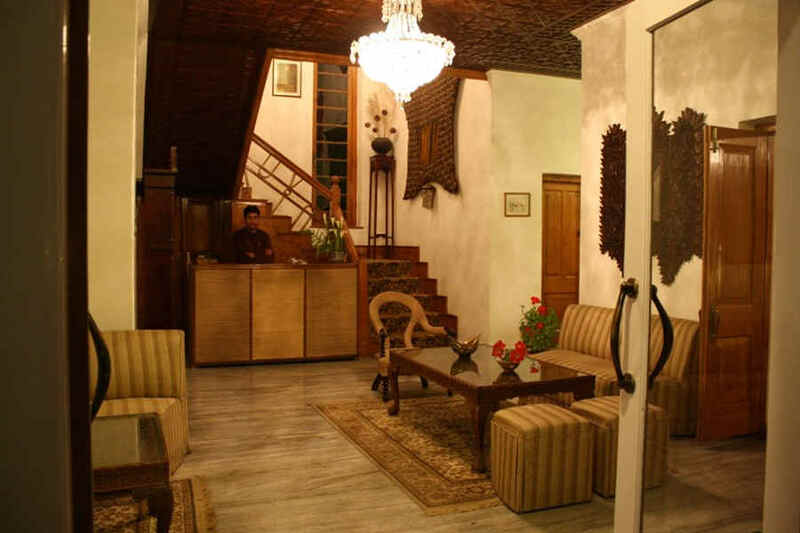 The closest airport from the resort is the international airport in Srinagar, located 18 km away. New Delhi’s international airport is located 836 km away. Both these airports are well-connected to both domestic and international destinations. The closest railheads from the resort are Udhampur Railway Station, located 203 km away and Jammu Tawi Railway Station, located 270 km away from the resort. The resort is at a distance of 823 km from New Delhi Railway Station. A network of roads connect the resort in Srinagar to cities such as Udhampur (203 km), Ludhiana (503 km), Manali (555 km), Chandigarh (566 km), Shimla (634 km), Delhi (814 km), and Bikaner (964 km), among many other cities across the country.